1917. 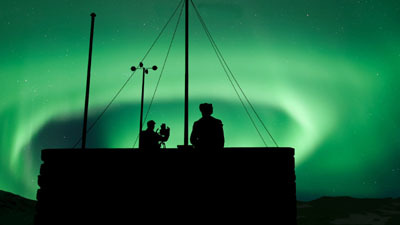 A dark night atop a mountain peak - site of the world’s first Northern Lights Observatory. 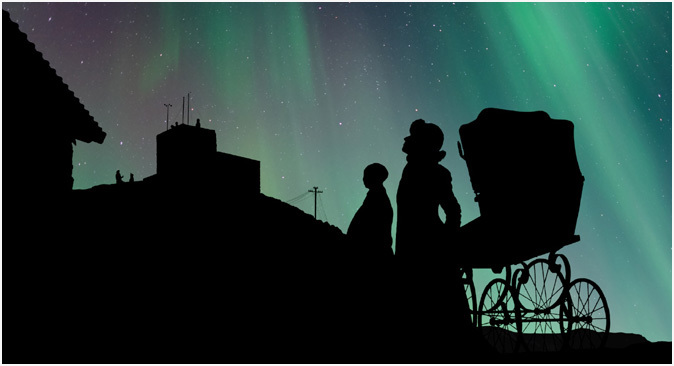 A boy and his grandmother play outdoors beneath the stars. liaising by telephone with another photographer many kilometres away. 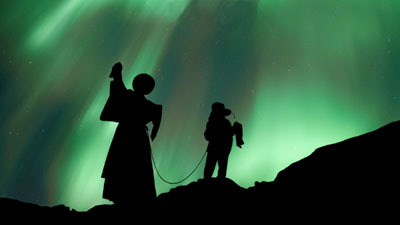 "Northern Lights over Mount Halde" is 7 1/2 minutes long - in stereoscopic 3D. 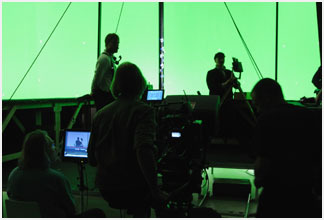 Most of the film is presented in 3-dimensional silhouette against the night sky. 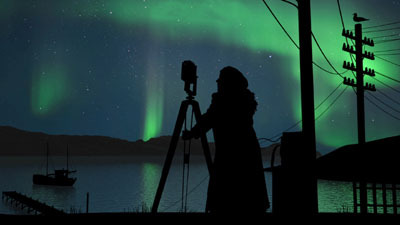 Some Northern Lights scenes are also filmed in 3D, using two cameras some kilometres apart. 7 of them were children. Today, the Halde mountain and Observatory is a popular aim for hikers. 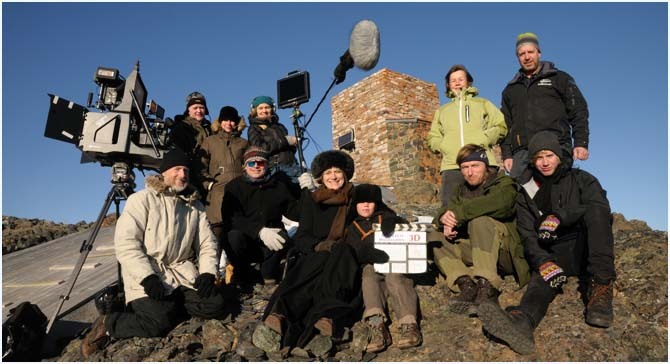 One of the central roles in the film is played by the Norwegian actress Marianne Krogness. who lived at Halde between 1912 and 1918 together with his wife Dagny and their two children. 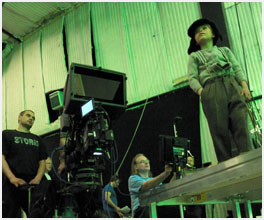 Marianne plays the role as her own great grandmother!